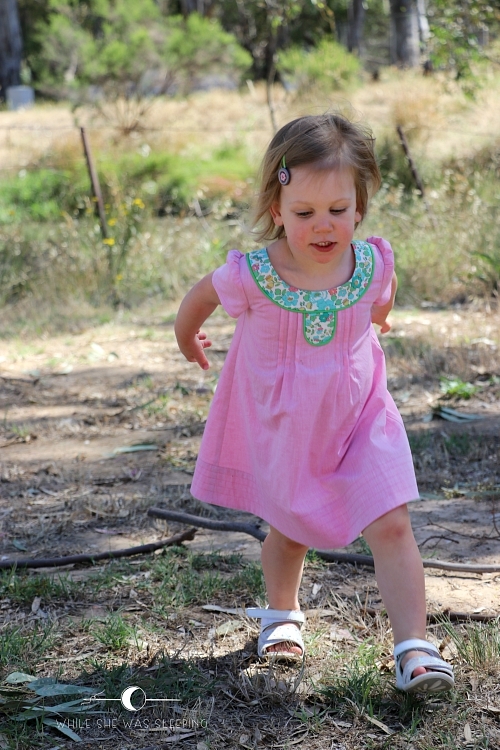 Last year I made a Family Reunion dress for my little love to wear to her Aunt's wedding. 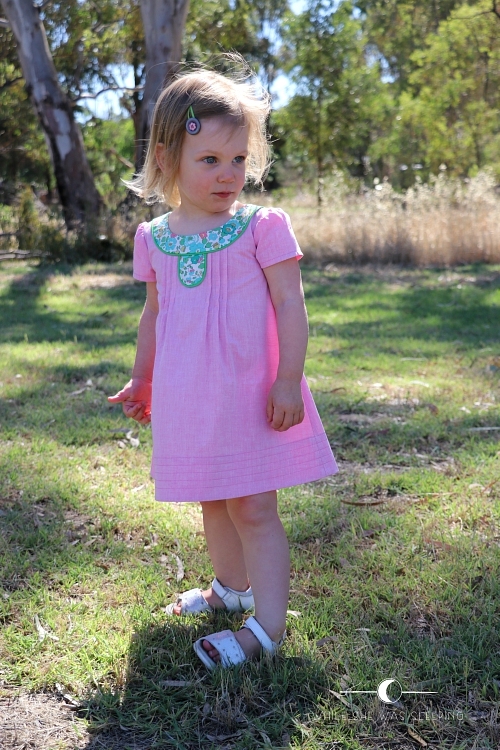 This year I used this pattern again to make her a Christmas dress. I didn't have a cool panel this year for the dress, however I had this softest pink linen and a small piece of Liberty that I purchased from House of Cloth last year for another project but never used. 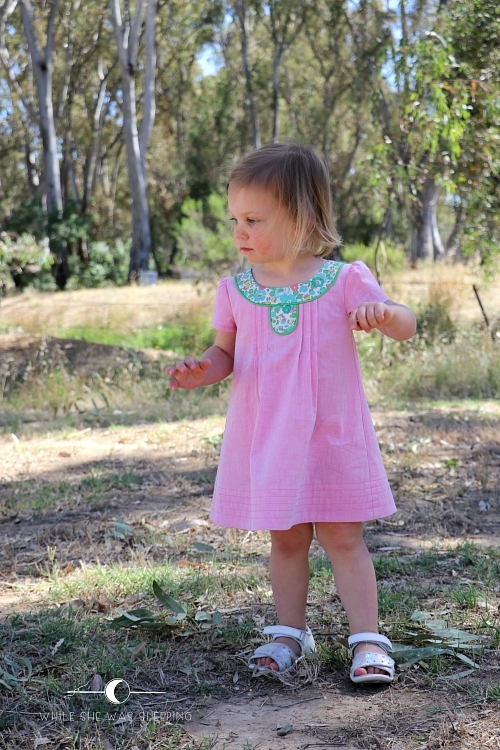 Sewing the dress for the second time was an absolute breeze. Just like last year, I used French seams on the shoulders. It worked perfectly last time, so why change it? 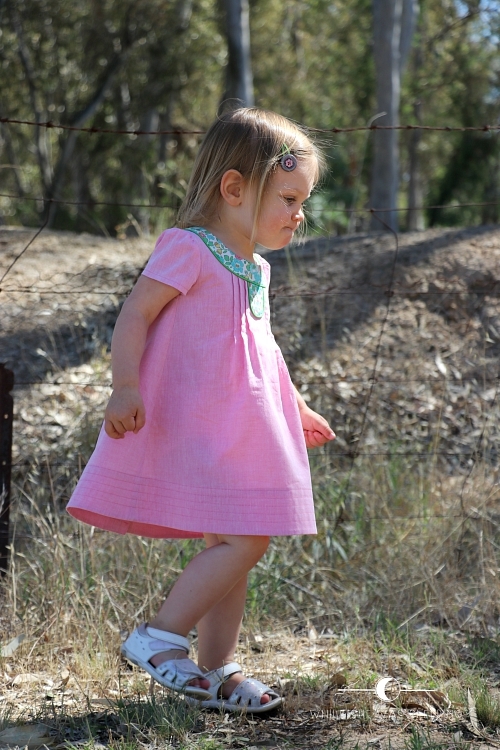 I love the subtle effect multiple lines of stitching at the bottom of the dress create! Miss L has such a sweet smile but I just couldn't capture it. I asked her to smile for the camera and this is what I got! Still adorable, right? As you can see I decided to omit buttons on the yoke. This liberty print is so pretty I felt it would be a crime to cover it up! 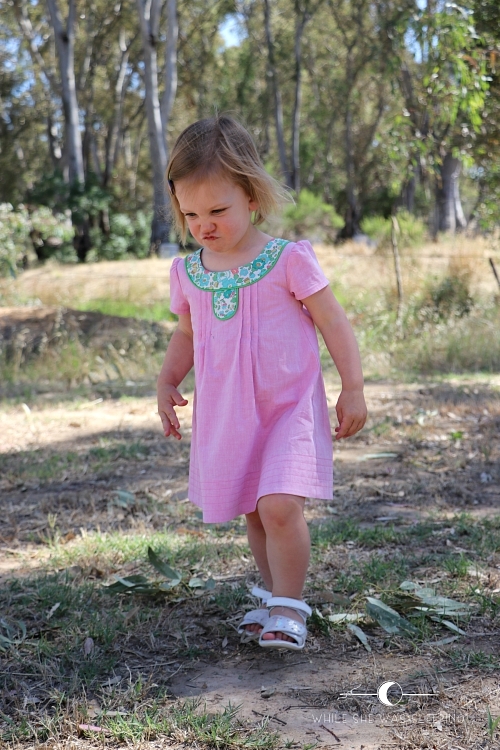 I absolutely adore A-line dresses on toddlers! 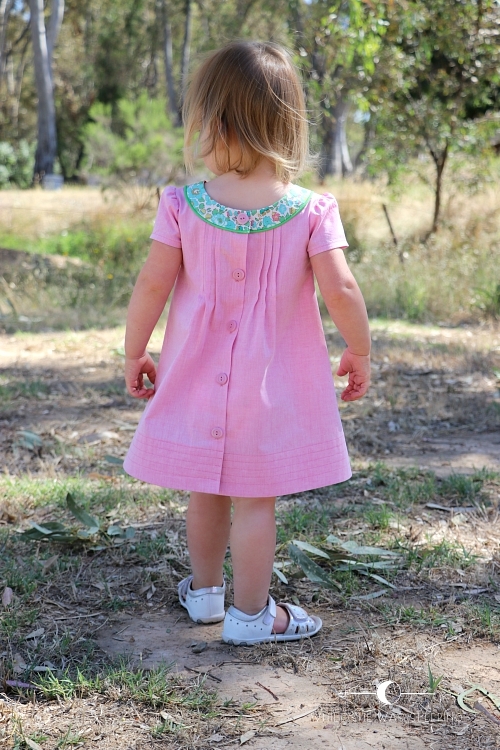 Vintage buttons from the stash completed the dress prefectly! 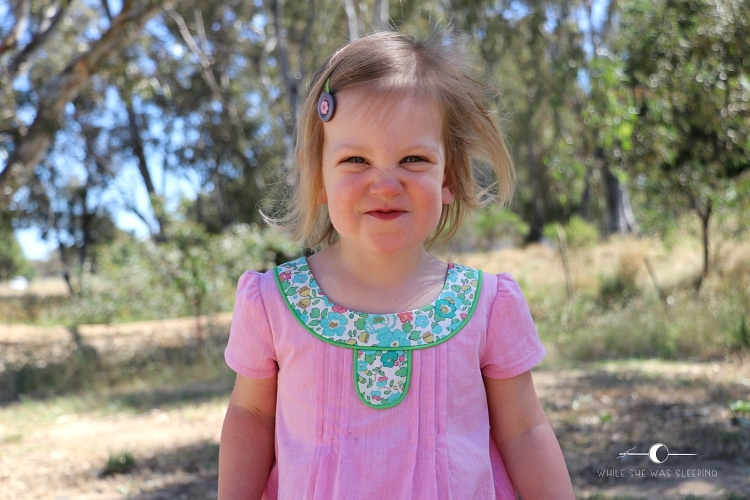 I was a little worried Miss L won't like the dress as it had no pockets, however she loved it! 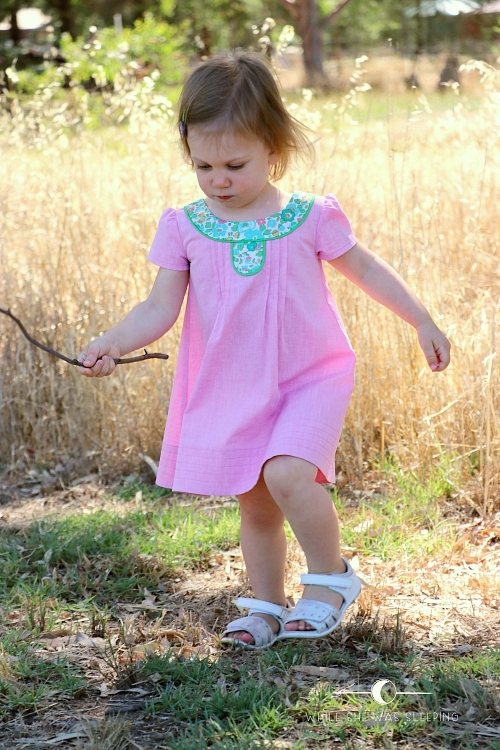 If you would like to make a Family Reunion dress you can purchase the pattern here. 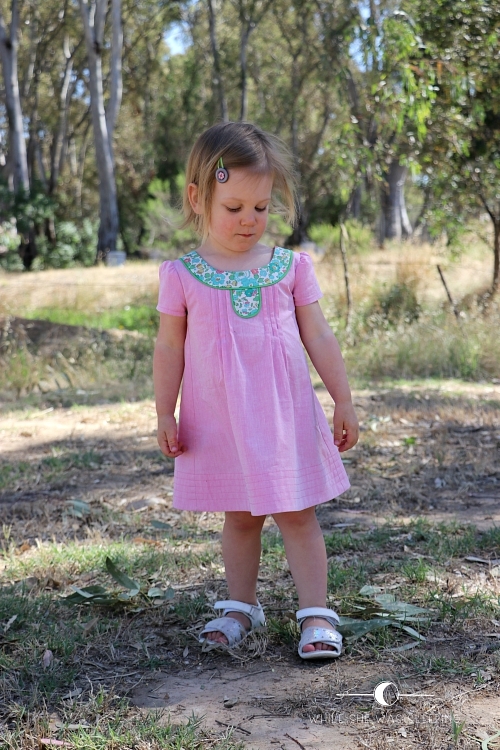 This is such a lovely Christmas dress (and how cute is it that she refers to it as such!!). The colors are perfect for her, and I agree that the green piping is such a nice, fresh touch! 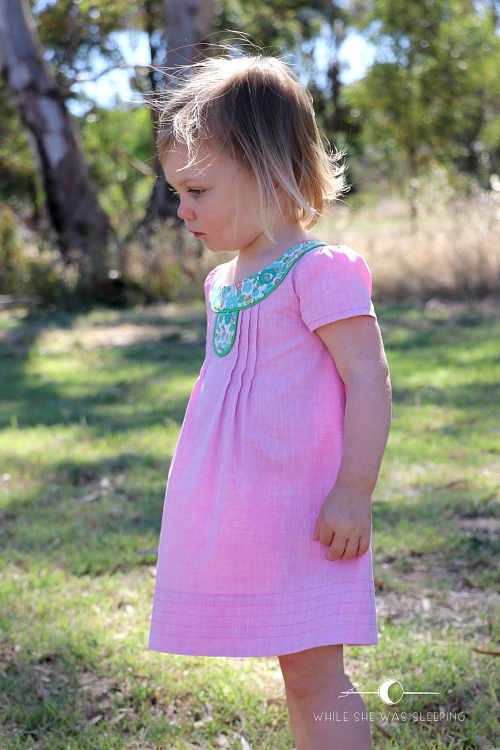 And the hem - beautiful! She is storybook cute. love it!